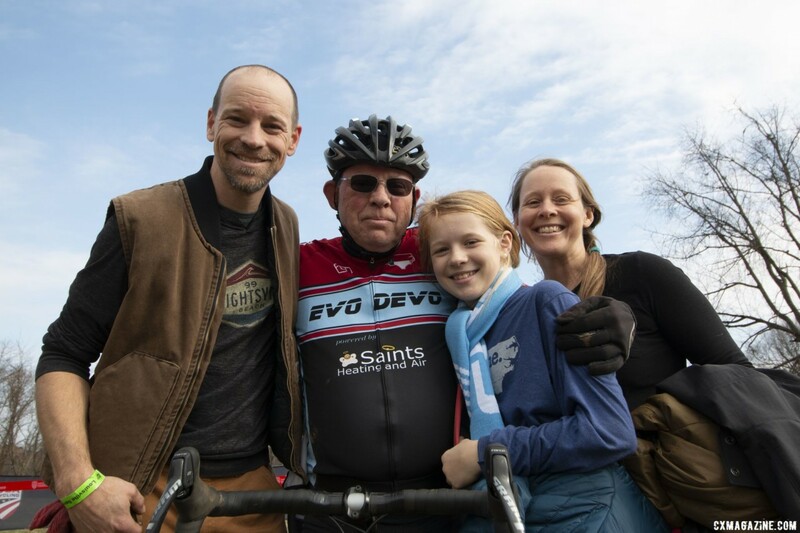 Although he was racing in the Masters 75-79 race at the 2018 Louisville Cyclocross Nationals, Paul McKeithan is a relative newcomer to the sport of cyclocross. After his granddaughter Alison McKeithan won the Junior 11-12 National Championship in Boulder in 2014, she told her grandfather how much fun cyclocross can be. He soon was trying the sport out. In his third try at Nationals, the elder McKeithan got a National Championship of his own, winning the Masters 75-79 title at Joe Creason Park. 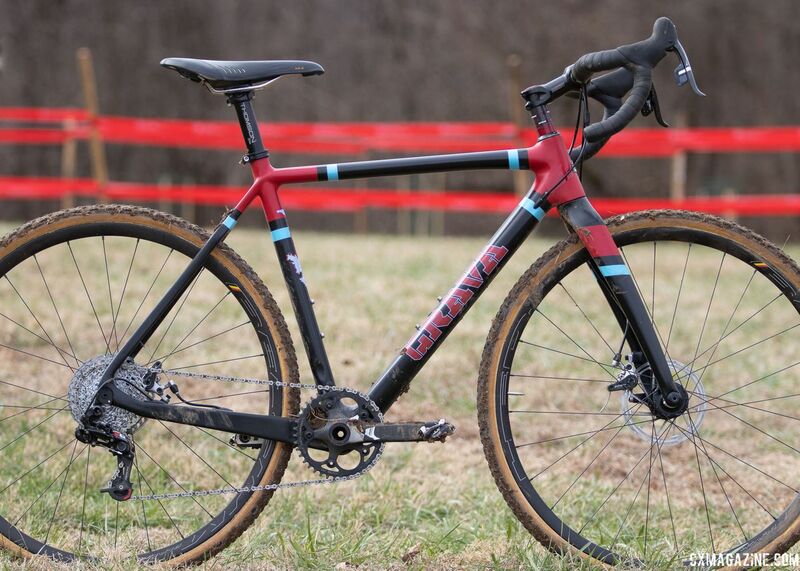 The cyclocross bike that has brought McKeithan so much ’cross joy is a Grava Maple Sally do-it-all cyclocross bike. After McKeithan’s win on Wednesday, we took a closer look at his bike for a (relatively clean, for Louisville) bike profile. McKeithan is from Apex, North Carolina, which is located just outside Raleigh. 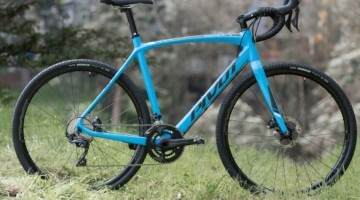 He decided to keep it local with his cyclocross bike, riding the carbon Maple Sally from Grava Bicycle Company, which is located in Lenoir, North Carolina. Grava’s approach to bikes is a bit unique. The company keeps it simple by offering one steel frameset and one carbon frameset. The Maple Sally is the carbon frameset, which is named after Maple Sally Road, a popular haunt of the company’s founders. Grava is a sponsor of the J.A. 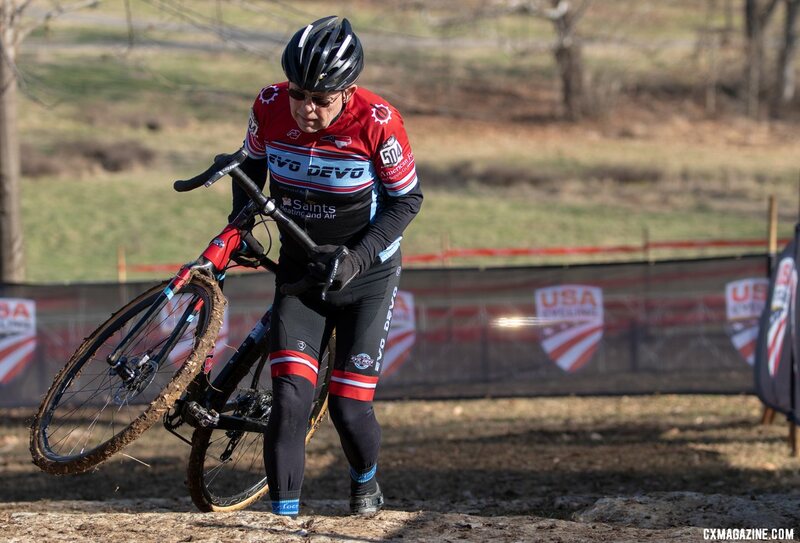 King cyclocross team, and Hannah Arensman rode the Maple Sally to a D2 Collegiate National Championship in 2018 in Reno. 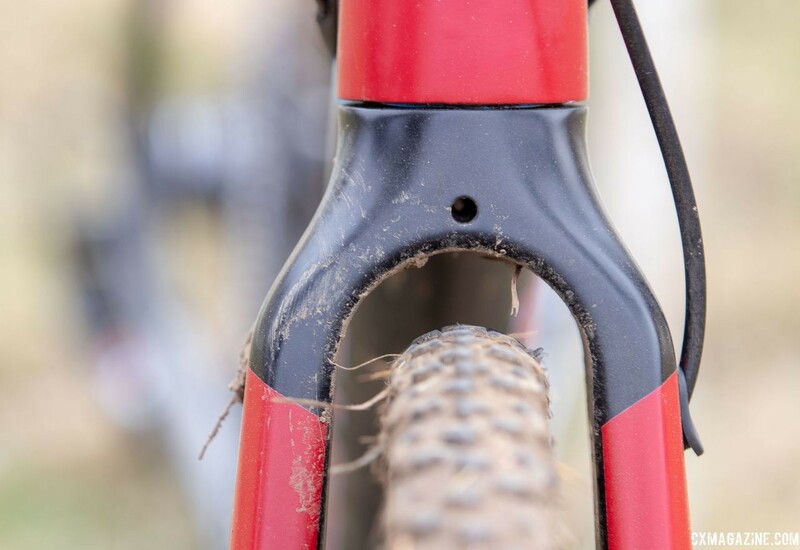 The bike achieves its do-it-all goal with a relatively slack front, with a 70.5-degree head tube angle and roughly 7.2cm of trail on a Medium 54cm top tube frame. The chainstays and bottom bracket height are cyclocrossy, with a chainstay length of 42.5cm and a bottom bracket drop of 7.0cm. For riders who want to go gravel, the company claims clearance for up to 700c x 40mm and 650b x 47mm tires. The current edition of the Grava Maple Sally is fully modern with 12mm thru-axles and flat mount disc brakes, but McKeithan rode an older edition with post mount brakes. 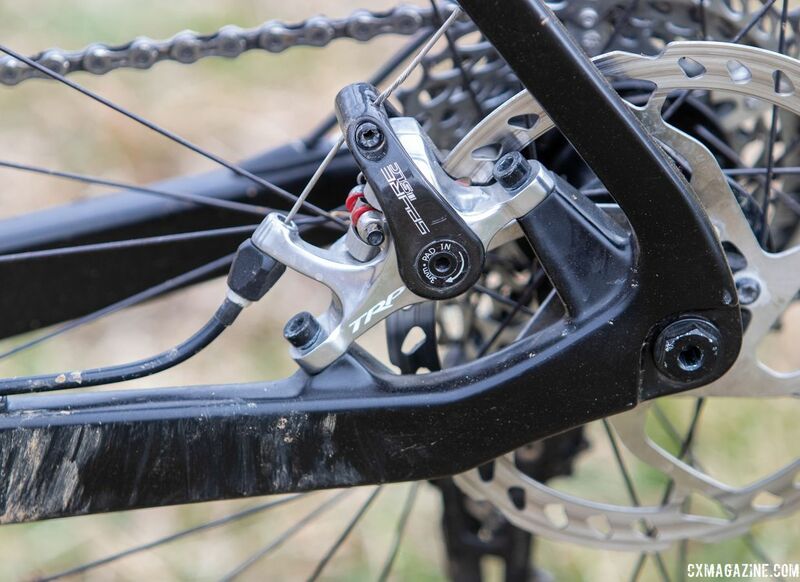 McKeithan used a mix of SRAM road and mountain bike components to run a clutch-based 1x system. 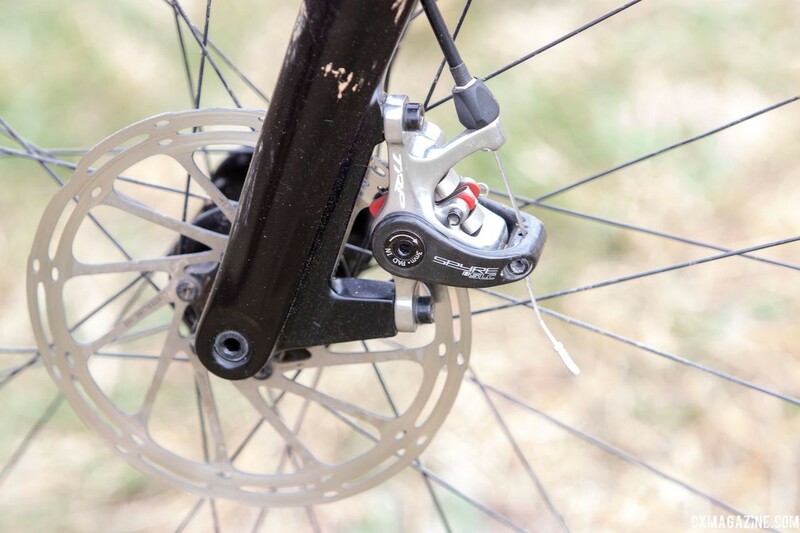 He used a SRAM Force 22 DoubleTap 11-speed mechanical shifters up front—the left one used for braking only—and a SRAM X0 10-speed clutch mountain bike derailleur in the rear. 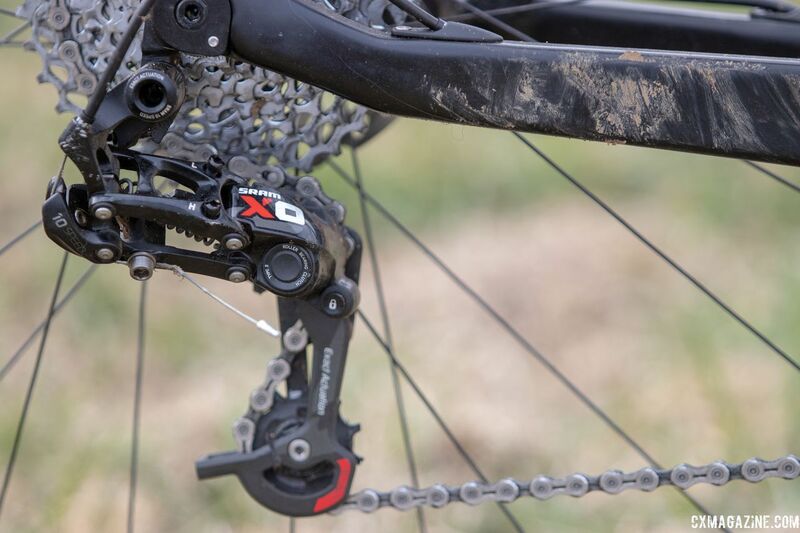 Both the 10-speed derailleur and the 11-speed road shifters use SRAM’s Exact Actuation technology (SRAM’s 11-speed and 12-speed mountain derailleurs use X-Actuation), so they can be reliably paired together if you set the derailleur limits correctly. It’s a setup that we’ve seen as early as 2015 on a Connor Cycles Axehandle wooden bicycle at NAHBS. McKeithan ran a SRAM Force crankset set up 1x with a 40t Wolf Tooth 110 BCD Cyclocross chain ring. The X0 derailleur allows for up a 36t rear cog, and McKeithan took full advantage with an 11-36t cassette for the climby Joe Creason course. McKeithan opted for post mount mechanical disc brakes with the older-gen Maple Sally. He ran TRP Spyre dual piston mechanical calipers with a front 160mm SRAM Centerline rotor and rear 160mm Shimano RT66 6-bolt rotor. McKeithan’s rims came from Minnesota-based HED. He ran alloy wheels built up using the company’s Belgium tubular rim. McKeithan ran the 28-spoke version of the 24mm deep, 23mm wide tubular rims. Grava builds its bikes with Paragon Machine Works bolt-on thru-axles. 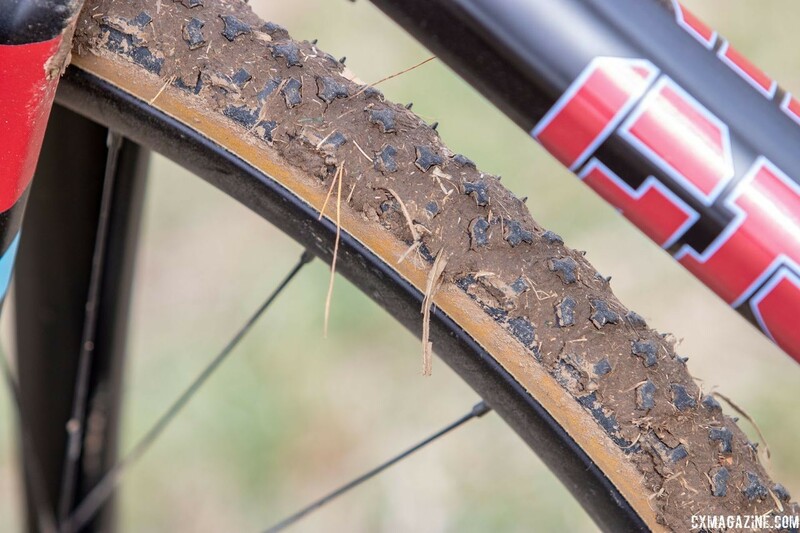 Wednesday’s races were not immune from mud—even if it was nowhere near as bad as the weekend—so McKeithan opted for Challenge Limus tubular tires. The cockpit on McKeithan’s Maple Sally was also a mix of parts. 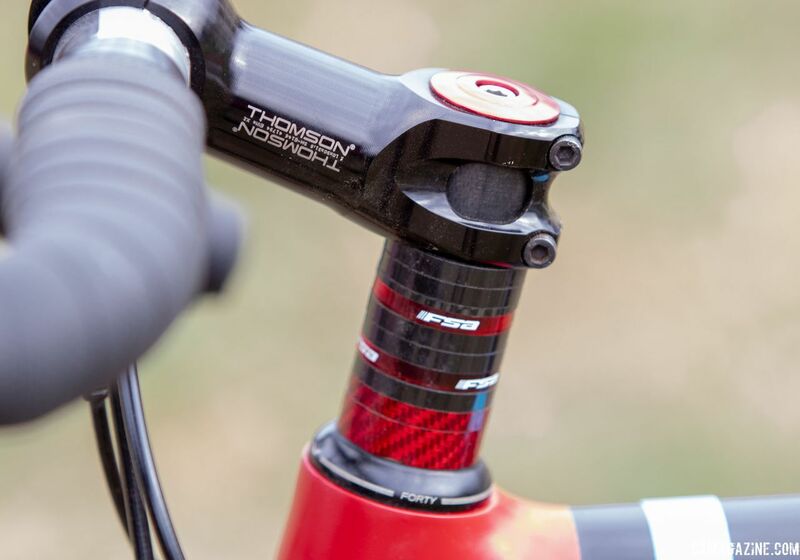 He ran a 90mm Thomson Elite X2 two-bolt stem flipped up and stacked at the top of the steerer. He mixed in red FSA spacers with the black ones that came with the Cane Creek Forty headset. 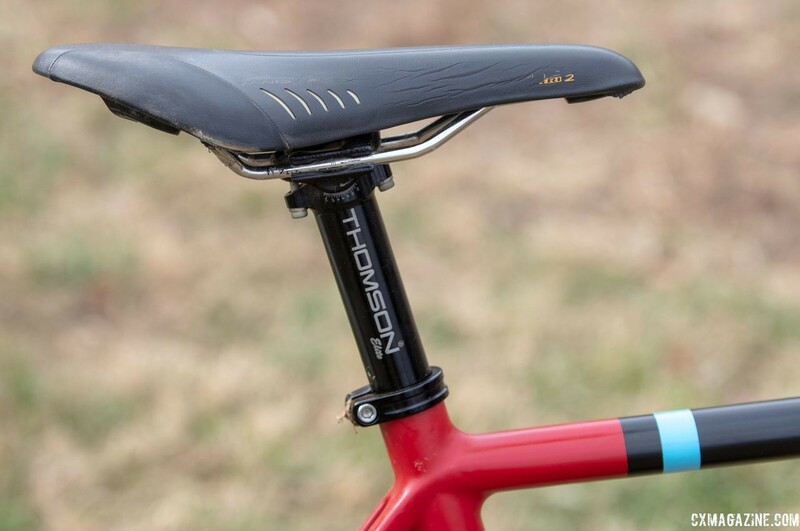 McKeithan’s seatpost was also an alloy Thomson Elite model with zero offset, and his saddle was a now-discontinued Fizik Arione Tri 2 saddle with titanium rails. His pedals were Shimano Deore XT PD-M8000. 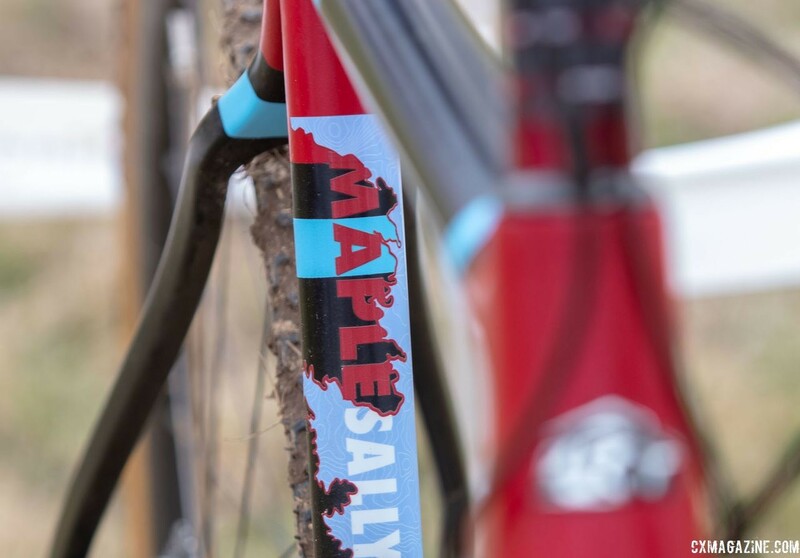 Grava may not be the biggest name in cyclocross, and its Maple Sally looks remarkably similar to some other brand’s frames, but at both 2018 Cyclocross National Championships, the bike proved itself by helping riders take home titles. For a closer look at McKeithan’s Grava Maple Sally, see the photo gallery and specs below. For more photos from the Masters 70+ races at the Louisville Nationals, see our gallery here. For more bikes from Nationals, see our bike profile archives.